Today November 8, 2017 board members of the Braxton Bragg AUSA Chapter supported the 50th Anniversary of the Vietnam War hosted by the VFW John Boyd Post. General (R) Buck Kernan and CSM (R) Jimmie Spencer, Consultant USA Vietnam War Commenoration, were the guest speakers. They related what it was like to be in Vietnam and General Kernam related how it was a defining moment in his life. 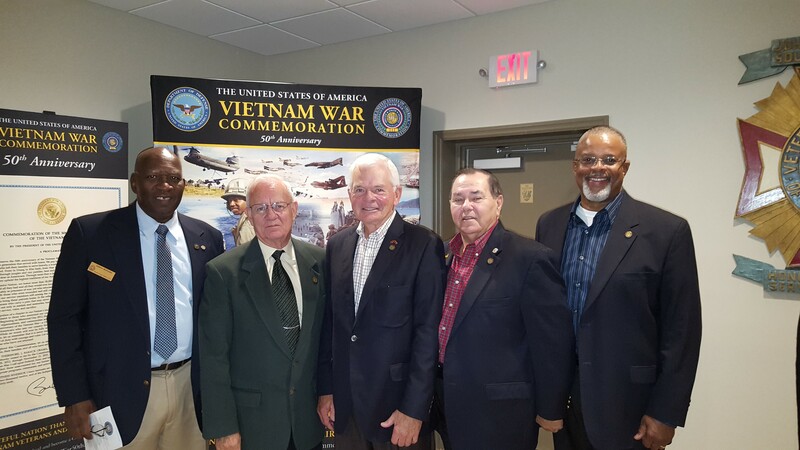 CSM Spencer explained how the 50th Anniversary of the Vietnam War Commission is working to give the recognizance for the service to the USA.Pictured Left to right: Andrew McFowler, President Braxton Bragg AUSA Chapter, CSM Spencer, GENERAL Kernan, Wally Wallace, Carl McCloud. The 82nd Airborne chorus provided the entertainment and was just TERRIFIC!